The one thing people lament most about their kitchens is that they tend to be organized a little too inefficiently. Even if you feel as though you have plenty of countertop and cabinet space for food storage and food prep, there always seems to be wasted time in the process of preparing food for your daily routine. These organizational ideas will help you prioritize the way you organize your kitchen. Think about the small appliances you use daily. Are they located within easy reach, offering easy access? If not, how can they be more convenient for you? Think about whether you have to walk across the room daily to fill the coffeepot. Could you move the coffeepot closer to the sink? For that matter, do you even drink coffee daily? If you don’t use appliances daily, or even weekly, could they be stored out of the way and only brought out when needed? The idea is to have easy-and-fast access to the items you use daily while placing other items out of sight and/or out of reach. 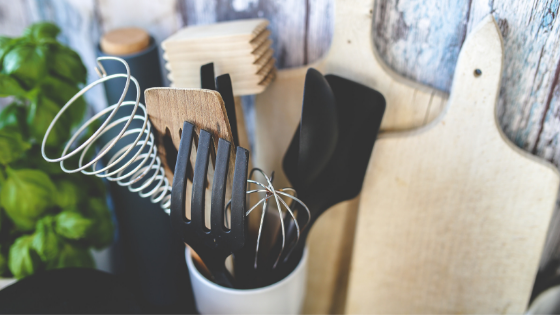 Where Do You Store Your Cooking Tools? These are the things you want to have close at hand when cooking. In the same vein, you’d like to have easy access to kitchen knives, cutting boards and colanders near your sink, where they are most likely to be used. Glasses are also wise to have either near your sink, for easy access to water, or near your refrigerator where most of the drinks are stored. You might want to avoid, however, storing dishes directly above your dishwasher as this area is difficult to reach when the dishwasher is open to retrieve clean dishes. Are you ready for a newer, more efficient kitchen? Check out the kitchen floor plans in these apartments in Phoenix, AZ, and put them to the test to find the one that meets your needs best.